Spend more time programming. 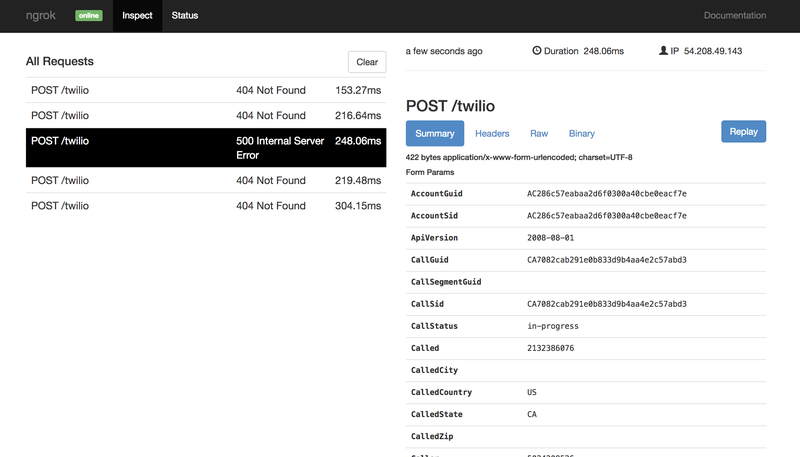 One command for an instant, secure URL to your localhost server through any NAT or firewall. As well as Microsoft Azure, Amazon Web Services, and many more. ngrok provides a real-time web UI where you can introspect all HTTP traffic running over your tunnels. Replay any request against your tunnel with one click. Explore the docs to see everything ngrok can do. Here’s some kind words from a few of them. ngrok has become essential to my workflow. Makes testing responsive designs so much easier. 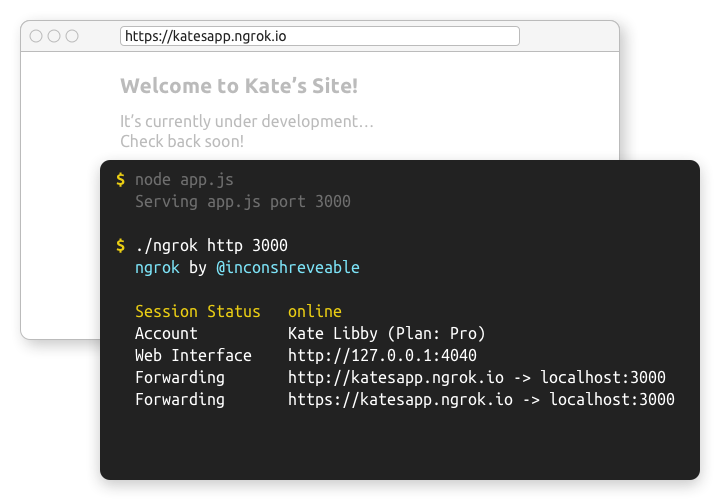 #ngrok is a dream for testing localhost with remote APIs! ngrok has got to be the easiest local tunnel solution I've ever used. holy crap. ngrok.com is awesome, this solves pretty much all local developer problems. so ngrok.com is basically the greatest thing ever. Get up-and-running with ngrok in less than a minute.